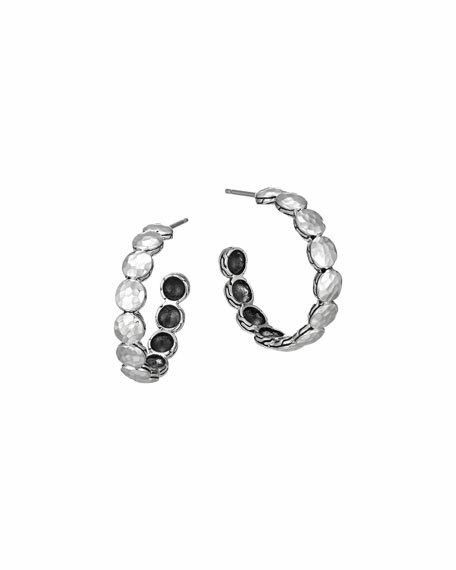 John Hardy hoop earrings, from the Palu Collection. Sterling silver with hammered finish. Approx. 0.2"W and 1" diameter. For in-store inquiries, use sku #2158701.